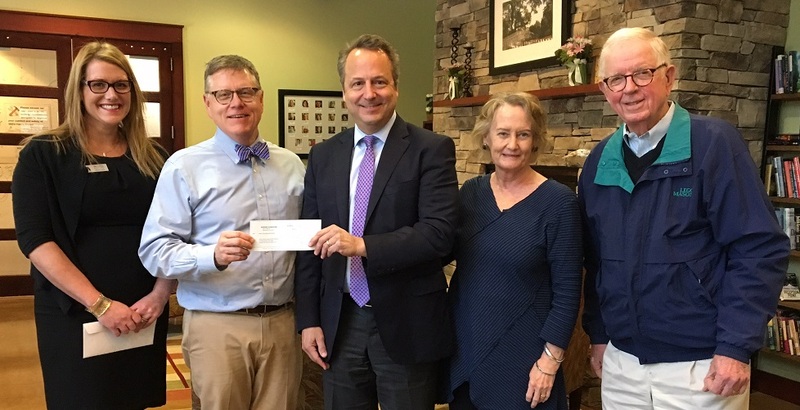 The SunTrust Foundation recently gifted the Capital Campaign—our $8M fund for financing our much-needed building expansion—a generous $15,000 donation. Family House staff and SunTrust Foundation representatives were all smiles during the presentation of the check. In accordance with SunTrust Bank's mission, the SunTrust Foundation works to advance financial wellbeing in all of its efforts, including: financial education and counseling; career readiness/workforce development training and entrepreneurship; thought leadership and new relationships; and supporting the unique needs of its communities. By supporting the physical expansion of SECU Family House through the Capital Campaign, the SunTrust Foundation is wisely investing in the wellbeing of our communities. UNC Hospitals and its system of care continue to grow throughout North Carolina. Family House plays a critical role in alleviating barriers to patients' access to the world-class healthcare located right here in Chapel Hill. Our 40 guest rooms are in constant use, and we turn away two of every three guests who are referred by a patient's medical care team. Expanding our building to 75 guest rooms is the right thing to do. On behalf of everyone at Family House, we extend a heartfelt thanks to our friends at the SunTrust Foundation.